You’ve trusted Boelcke Heating and Air Conditioning to meet your home comfort needs, but did you know you can count on us for your kitchen plumbing needs as well? We’re not only your full-service HVAC contractor – now we can help you with all of your plumbing needs, too. 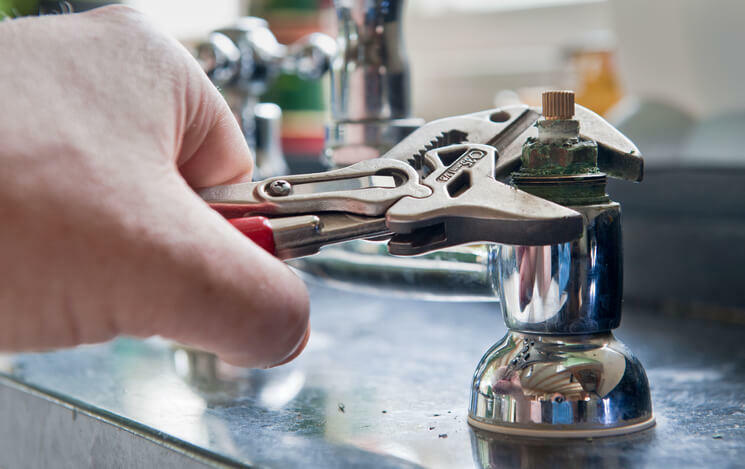 Our skilled master plumbers can help you with any kitchen plumbing concern you might have, from a faucet that drips to an entire kitchen remodel. When you choose Boelcke Heating and Air Conditioning to assist you with your kitchen plumbing needs, you’ll be able to choose from a wide range of products and services. We’re able to help our customers with a variety of concerns, including water leaks, remodeling, plumbing installation, new construction, existing home retrofit, gas piping and more. We proudly offer some of the best brands available, and carry high quality fixtures, appliances and other plumbing supplies. Boelcke Heating and Air Conditioning can help you get the plumbing repairs you need for your kitchen sink, dishwasher, garbage disposal and water dispenser. At Boelcke Heating and Air Conditioning, we always treat our customers like family. Our goal is your complete satisfaction with both our products and our services. We never consider the job complete until the customer is fully satisfied with the work we’ve done for them. Our top priority is to provide you with the best kitchen plumbing solution available. If you live in Stevensville, Coloma, St. Joseph or the surrounding areas and need kitchen plumbing for your home, give Boelcke Heating and Air Conditioning a call at (269) 429-9261. We’ll tell you about the different kitchen plumbing products and services we offer, and help you find the solution that best suits your needs.